For many baby boomers, the early to early to mid-seventies was a golden age for music. They had just graduated from university, and were making their way in the world. Many had well paid jobs, no commitments and often, a high disposable income. By then, the baby boomers had also already established a strong cultural identity. They had grownup during the sixties, which without doubt had been one of the most important decades in musical history. This just happened to coincide with the first wave of baby boomers entering their teenage years. The first baby boomers were born in 1946, and by the time The Beatles released Love Me Do in 1962, were teenagers. They were beginning to take an interest in music, art and literature, and were already establishing a cultural identity. This would take shape during what many refer to as the original golden age of music. 1964 proved to an important year culturally. It marked the end of the post–World War II baby boom. However, many baby boomers remember 1964 as the year the British Invasion arrived on American shores. Suddenly, American teenagers preferred The Beatles, Rolling Stones, The Who, The Kinks and The Animals to Bob Dylan and those clean cut all-American boys, The Beach Boys. Soon though, the times were a changing. In 1965, the psychedelia era began. Over the next few years, music was transformed. Especially by the Grateful Dead, Jefferson Airplane, The Doors, The Byrds, Jimi Hendrix and Pink Floyd. The music was a game-changer, and a long way from Love Me Do. Even Elvis Presley, was neither as popular, nor relevant as he had been. He was sill cavorting in third rate movies, as modern music passed him by. The king it seemed, had lost his crown. Meanwhile, many baby boomers had embraced the cultural changes. Especially the first wave of baby boomers. Many had become pioneering musicians, including Bob Dylan, The Beatles, the Rolling Stones, Cream and The Doors. Many other baby boomers were at colleges and universities across America. While they embraced and enjoyed the new music, some were unable or unwilling to participate fully. Some were unable to afford to buy LPs or concert tickets. It was taking them all their time to pay their way through college or university. Then there were other students who didn’t quite ‘get’ the music. They neither understood, enjoyed nor embraced psychedelia. Neither did they agree nor approve of the role drugs, including LSD, mescaline and peyote, played in psychedelic music. As a result, many baby boomers sat out the psychedelic era. This certainly wasn’t the golden age of music. That was still to come. By the early to mid-seventies, many of the first wave of baby boomers had graduated college or university. They were now making their way in the world. Many had well paid jobs, no commitments and often, a high disposable income. This they enjoyed spending. One thing many baby boomers enjoyed spending money on was music. Many baby boomers who were brought up on a steady diet of music from Love Me Do onwards, began to seriously collect records. So were many of the baby boomers who sat out the psychedelic era. They discovered music through their local AM radio station, and soon, were enjoying the music of the early to mid-seventies. Before long, they and were also collecting albums. Like the rest of the music-loving baby boomers, they had the disposable income to do so, and voraciously, began hoovering up copious amounts of albums. These they played on their expensive, high end hi-fi systems. Soon, the baby boomers had amassed vast collections of vinyl. They documented what was a golden age of music. The same can be said of Hitlist 2-More Hot 100 Chartbusters Of The 70s, which will released be Ace Records on 26th of August 2016. 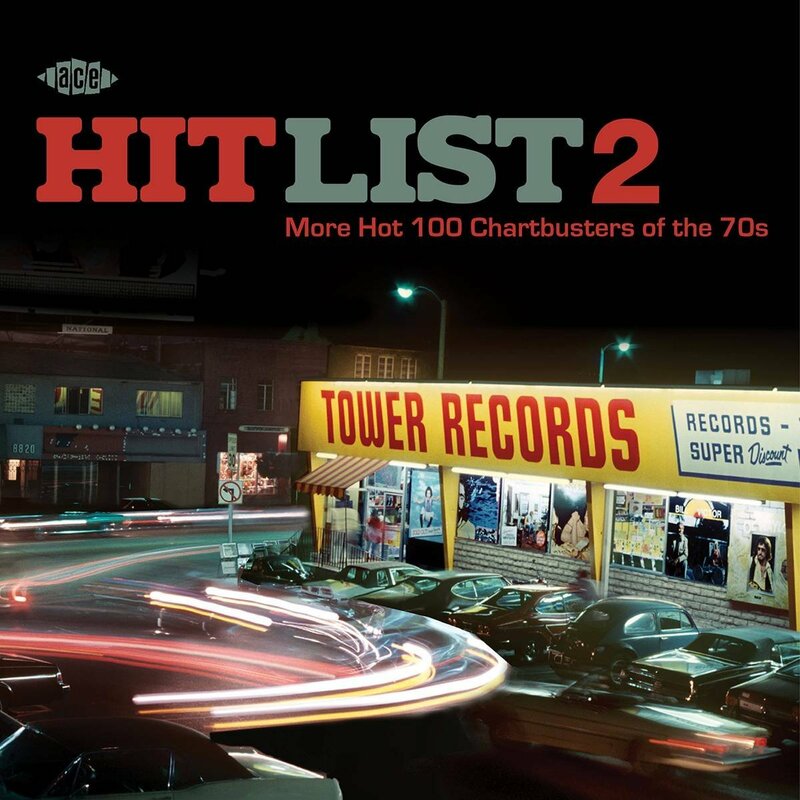 Hitlist 2-More Hot 100 Chartbusters Of The 70s is a twenty-four track compilation that features some of the biggest artists of early to mid-seventies. This includes The Doobie Brothers, The Allman Brothers Band, Joe Walsh, The Band, Bread, Elvin Bishop, Dave Loggins, Three Dog Night, Carly Simon, Linda Ronstadt and Alice Cooper. These are just a few of the artists on Hitlist 2-More Hot 100 Chartbusters Of The 70s, which I’ll pick the highlights of. 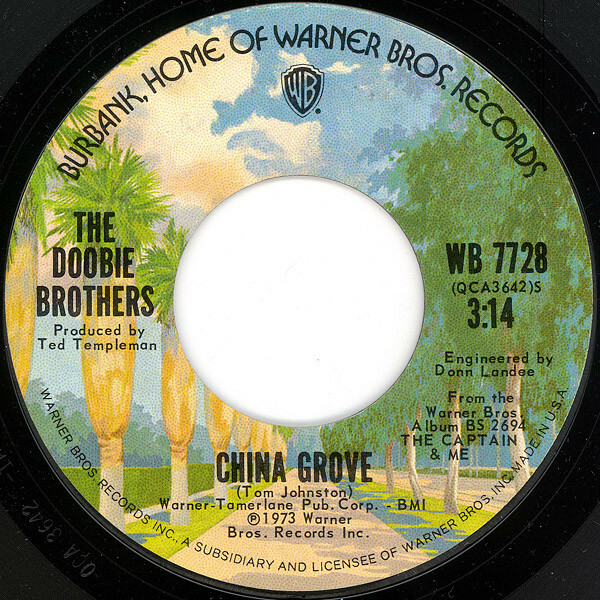 Opening Hitlist 2-More Hot 100 Chartbusters Of The 70s, is The Doobie Brothers single China Grove. When it was released on Warner Bros, in 1973, it reached fifteen on the US Billboard 100. China Grove is a track from The Captain and Me, which reached number seven on the US Billboard 200, and was certified double platinum. 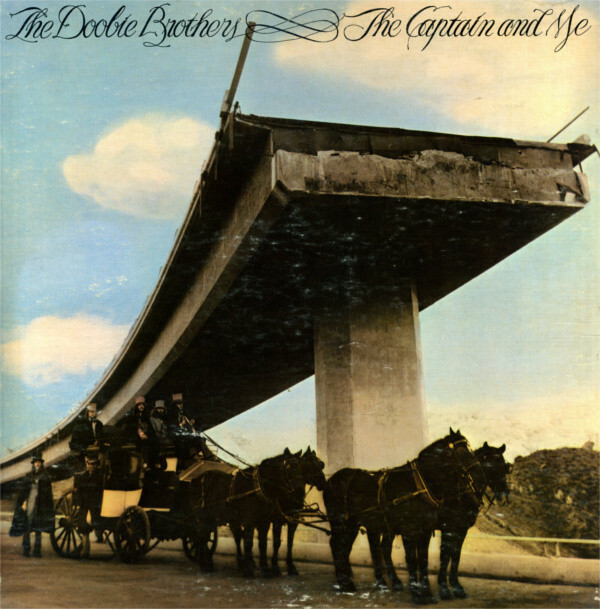 The Captain and Me featured the classic lineup of The Doobie Brothers. His unmistakable, gritty vocal plays an important part in this guitar driven slice of classic rock. It’s a reminder of just how good a band The Doobie Brothers were, during the Tom Johnson years. 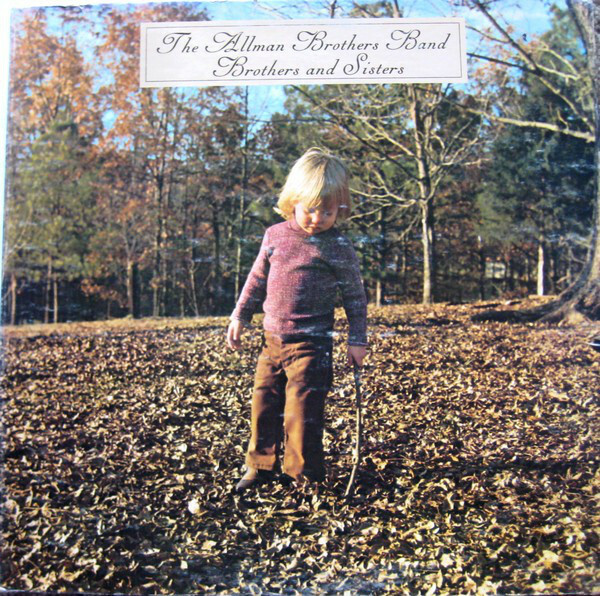 By 1973, The Allman Bros. Band’s unique fusion of Southern Rock and blues rock had made them one of the biggest selling American bands. Their last two albums had been certified platinum. When Brothers and Sisters was released in 1973, it reached number one on the US Billboard 200 and was certified gold. One of the singles released from the album was Ramblin’ Man. It reached number two on the US Billboard 100. Sadly, after Brothers and Sisters, The Allman Bros Band never reached the same heights again. However, forty years later, their music, including singles like Rambin’ Man, is timeless and still as popular as ever. In 1973, former James Gang guitarist and vocalist Joe Walsh, left the band to form the short-lived group Barnstorm. After released one album Barnstorm became Joe Walsh. 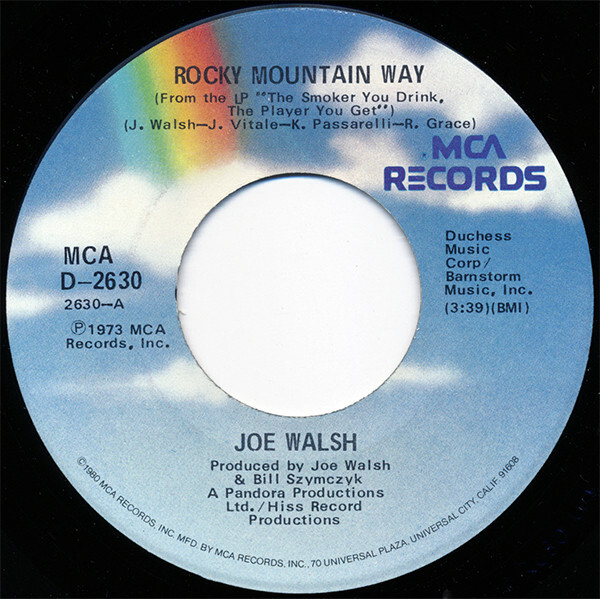 They released their debut single Rocky Mountain Way on ABC/Dunhill Records. It reached a creditable twenty-three on the US Billboard 100. This rocky track is akin to an outpouring of nervous energy, that showcased the combined talents of Joe Walsh. 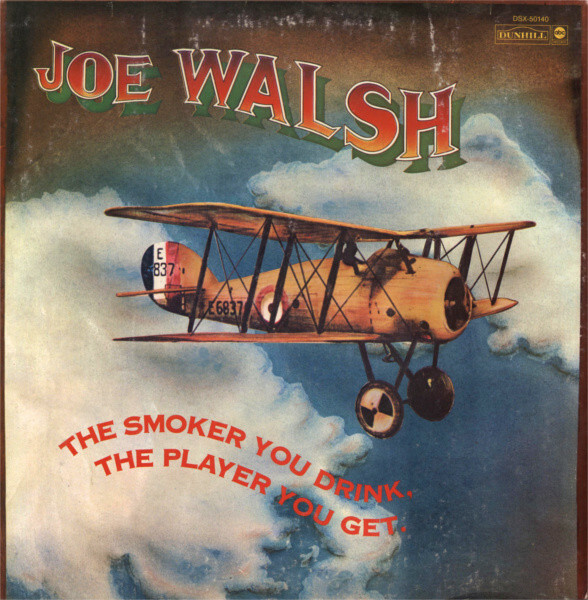 Their 1973 debut album The Smoker You Drink, The Player You Get on ABC/Dunhill Records reached number six on the US Billboard 200, and launched Joe Walsh’s forty-year solo career. Canadian roots rockers The Band were founded in 1964, and went on to play a part in defining music in the late-sixties and early seventies. 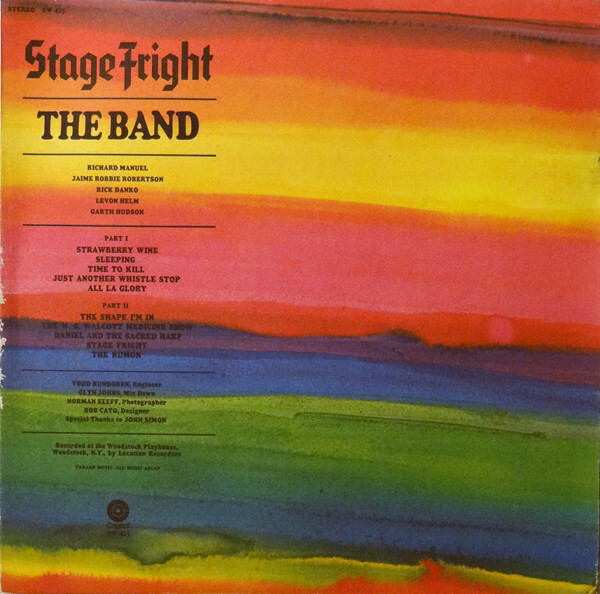 Their third album Stage Fright, was released by Capitol in August 1970, reaching number five in the US Billboard 200. This resulted in The Band’s second gold disc.The lead single from Stage Fright was Rag Mama Rag, which stalled at forty-six in the US Billboard 100. It’s underrated and oft-overlooked song from The Band’s back-catalogue, that’s a reminder of one of the best, and most important bands of the late-sixties and early seventies. 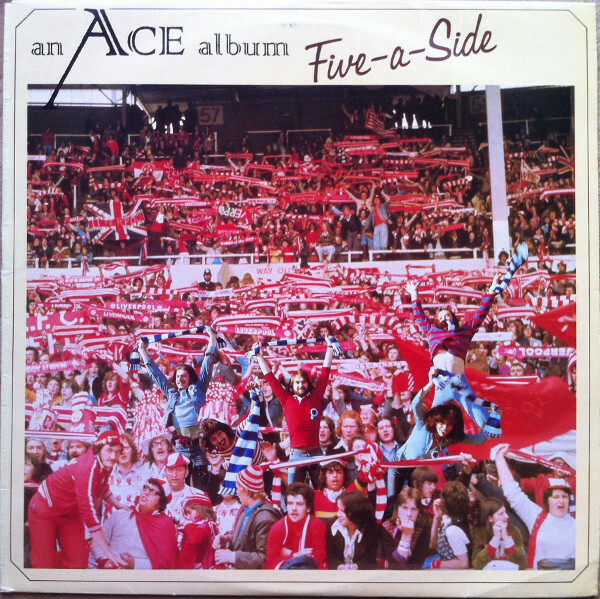 Unlike the majority of bands on More Hot 100 Chartbusters Of The 70s, Ace are a British band which featured Paul Carrack. They released their debut album Five-A-Side on Anchor Records in 1974. It reached number eleven on the US Billboard 200. When Ace released How Long as a single in 1975, it reached number five on the US Billboard 200, but only number twenty in Britain. However, since then, How Long has become a AOR classic, and the song that for most people, is synonymous with Ace. 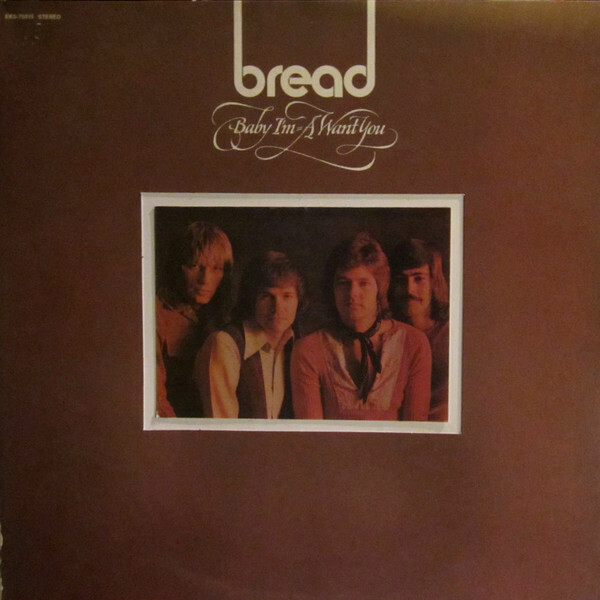 When Bread released their fourth album Baby I’m-A Want You in 1972, they were one of the most successful AOR groups. Their last two albums had been certified gold. Two became three when Baby I’m-A Want You was released on Elektra. It reached number three on the US Billboard 200, and was Bread’s most successful album. Baby I’m-A Want You also featured one of Bread’s most successful singles, Everything I Own. This beautiful ballad Everything I Own, which reached number five on the US Billboard 100. and is one of the finest singles Bread ever released. It was in Detroit in 1967, that Frijid Pink were formed. They started life as a blues rock band. By 1969, they were signed to the Parrot label, and label and decided to cover a rock classic. The song they chose was The Animals’ House Of The Rising Sun.It’s given a hard rocking, heavy metal makeover. However, it wasn’t until 1970 that House Of The Rising Sun charted, reaching number seven in the US Billboard 100; five in Britain; four in Germany and number one in Canada. Later in 1970, Frijid Pink released their eponymous debut album, and it reached number eleven in the US Billboard 200. This is one of four albums Frijid Pink released between 1970 and 1975. They’re a reminder of an underrated and talented band, who reinvented a rock classic. Dave Loggins family comes from a musical family. His brother Kenny would enjoy a long and successful career. However, Dave Loggins recording career began earlier that his cousin, in 1972. That was when Dave Loggins released his debut album Personal Belongings. The followup was 1974s Apprentice (In A Musical Workshop), which was released on Epic, and reached number fifty-three on the US Billboard 200. 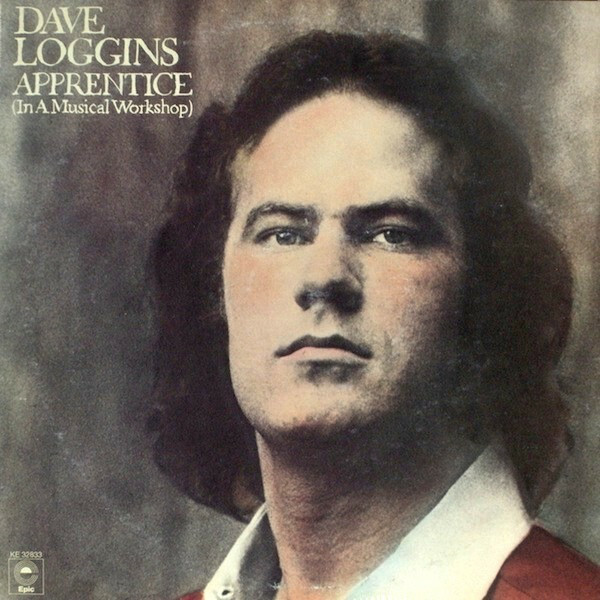 This was Dave Loggins’ most successful album. Partly, this was because of the beautiful, heartfelt ballad Please Come To Boston. It reached number five in the US Billboard 100, and is the finest song Dave Loggins wrote and recorded. 1971 was a big year for Carly Simon. She had released her eponymous debut album, which reached number thirty on the US Billboard 200. That’s The Way I’ve Always Heard It Should Be was chosen as a single, and reached number ten on the US Billboard 100. Carly Simon it seemed was destined for greatness. And so it proved to be. Carly Simon’s sophomore album Anticipation was one more step along the road. It had been recorded in London, and was released in November 1971. Just like her eponymous debut album, Anticipation reached number thirty in the US Billboard 200. However, this time around, resulted in Carly Simon’s first gold disc. The lead single Anticipation reached number thirteen on the US Billboard 100. 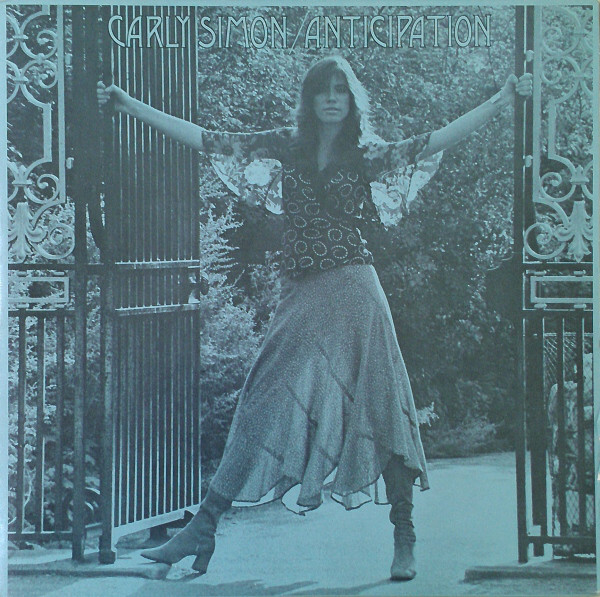 While this didn’t quite match the success of her debut single, Anticipation is beautiful, emotive and carefully crafted song that showcases Carly Simon’s skills as a singer and songwriter. It also typifies the emerging Laurel Canyon sound, and is a foretaste of the quality of music Carly Simon would go on to write and record. 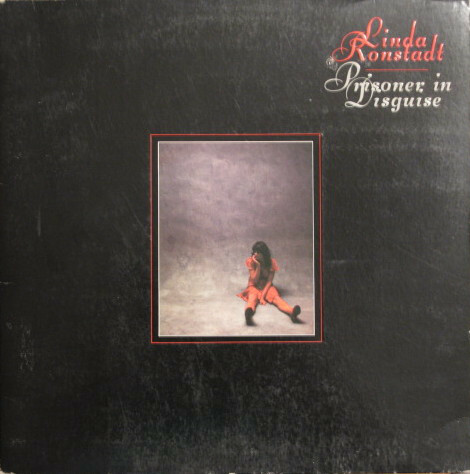 In 1975, Linda Ronstadt was enjoying the most successful period of her career. Her previous album, Don’t Cry Now has been certified double-platinum. The followup Prisoner In Disguise was released in 1975, and reached number four on the US Billboard 200. This resulted in a platinum disc for Linda Ronstadt. When it came to choose the lead single, You’re No Good was chosen, and gave Linda Ronstadt a number one single. For the followup, Phil Everly’s When Will I Be Loved was chosen. It was given a country rock makeover and reached number two in the US Billboard 200. It’s a reminder of of a truly talented singer, Linda Ronstadt at her very best, during the most successful period of her career. Orleans were formed in Woodstock, New York in 1972. They went on to enjoy five hit singles. Their most successful was Still The One which reached number five on the US Billboard 100. It’s a driving and joyous fusion country rock and soft rock, that’s taken from Orleans’ fourth album Waking And Dreaming. It was released on the Asylum label in 1976, reaching number thirty on the US Billboard 200. 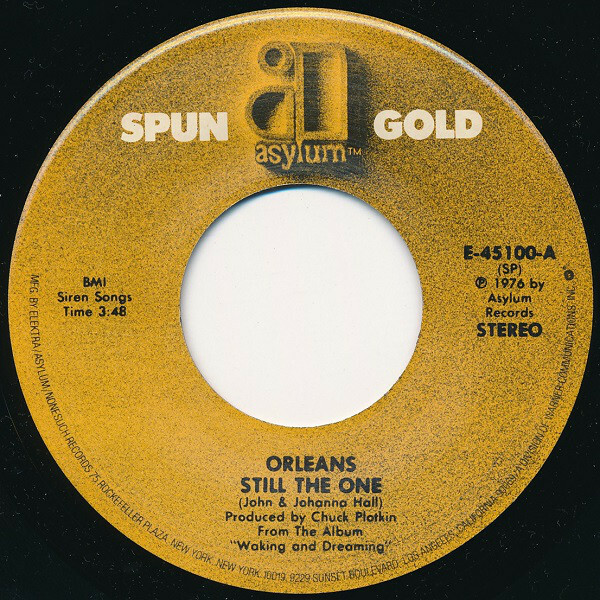 Waking And Dreaming was the most successful album Orleans released during a twelve album career that’s spanned two periods, and forty years. 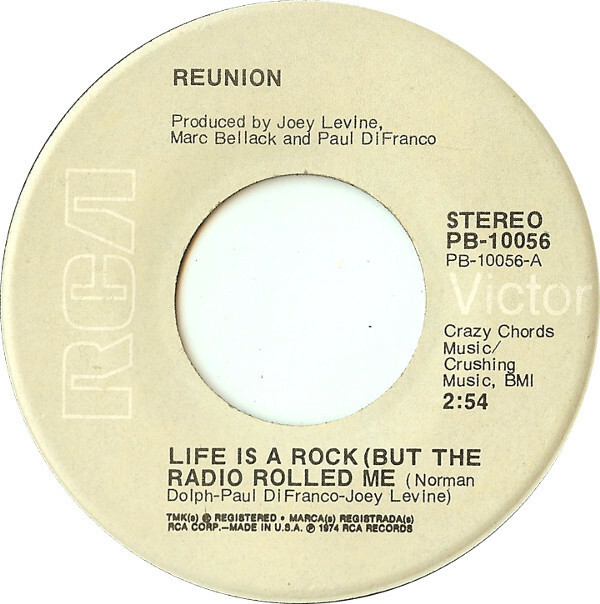 My final choice from Hitlist 2-More Hot 100 Chartbusters Of The 70s is the closing track, which is Reunion’s Life Is A Rock (But The Radio Killed Me). Reunion was a studio band that was the brainchild of Joey Levine, who wrote songs and jingles. However, he didn’t write Life Is A Rock (But The Radio Killed Me). Instead, Paul DiFranco and Norman Dolph wrote the song, while Joey, Paul DiFranco and Marc Bellack took care of the production. Joey also delivers the lead vocal, where he reels of an incredible ninety seemingly random names. Although it’s very different from previous tracks, it’s not lacking in hooks. That is the case throughout Hitlist 2-More Hot 100 Chartbusters Of The 70s. For baby boomers or just anyone who appreciates enjoys the music of the seventies, then Ace Records forthcoming compilation Hitlist 2-More Hot 100 Chartbusters Of The 70s is a must have. It’ll be released on 26h of August 2016, and is without doubt, one of the best compilations of seventies music released during 2016. The twelve tracks I’ve chosen only scratch the surface of Hitlist 2-More Hot 100 Chartbusters Of The 70s. There’s tracks from Dobie Gray,The Messengers, The Gentry’s, The Hollies, Elvin Bishop, Three Dog Night, Rick Derringer and Alice Cooper. Hitlist 2-More Hot 100 Chartbusters Of The 70s is a star-studded compilation. Each of these tracks on Hitlist 2-More Hot 100 Chartbusters Of The 70s have several things in common. They were all favourites of AM radio and made their way into the US Billboard 100. The other thing is, the undoubted quality of music on Hitlist 2-More Hot 100 Chartbusters Of The 70s. They’re a reminder of what was a golden age for music, which the baby boomers were able to experience and enjoy firsthand. That may have been over forty years ago, but now the baby boomers and music lovers of all ages can relive that golden period on Hitlist 2-More Hot 100 Chartbusters Of The 70s. ← PAUL McCARTNEY-PURE McCARTNEY-DELUXE BOX SET.